We have a clean and fully equipped nursery to meet the needs of your infant and toddler. Toys are regularly cleaned and inspected to protect the children entrusted to us. NURSERY is open at 9:00 a.m. and 10:15 a.m.
Join us at the “kidz farm to play games, sing songs and hear lessons from the Bible that help you to learn more about Jesus! Children’s Church is specially designed with teaching tools and curriculum to benefit the spiritual development of children at various ages. Children five years old through 5th grade are invited to attend Children's Church. 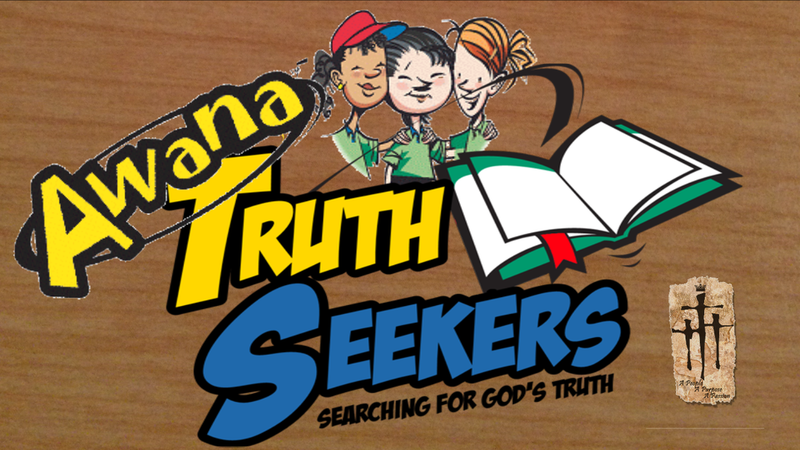 AWANA “TRUTH SEEKERS” is an important program offered at First Baptist Church on Wednesday evenings at 6:15 p.m. throughout the school year. AWANA is a high-energy fast-paced program to build character and biblical values into children through 6th grade. The program started September 2014. We also offer CUBBIES for Kids 3-5 years old. Cubbies is specifically designed for the younger kids. All of our teachers have been cleared by our Risk Policy to make sure that your children are safe in our care! The youth are not merely the church of tomorrow but are essential for the life and health of the church today. We meet from 6:15 p.m. to 7:30 p.m. the 1st & 3rd Wednesday of each month. Each Middle/High School student is encouraged to take part in their parent’s ‘Life Group,’ or adopt a group if their parents aren’t already attending. The church is happy to support the parent’s role in raising their youth to be faithful followers of Jesus. More Than Mom’s literally means what it says— it is a program designed for ALL ladies ages 14 yrs. and up. It brings women of all ages together to fellowship and grow in Christ. We meet every first Thursday of the month at 6:00 p.m. during the regular school year. Each year we also do a special retreat to enjoy a time of fellowship and study of God’s word. If you are wondering, it means, “Men Eat And Talk”. It is a time for our men to have a meal together, share life, study God’s word. and yes, we do expect to eat meat. No brussel sprouts are allowed. We meet every 3rd Thursday of the month. If you are interested in more advanced study, we offer several courses that can be completed toward an accredited degree program. These courses are designed to strengthen the leadership base of the local church and fulfill the mission of Christ. Our Missionaries are important to us! Every 2nd Tuesday of the month at 10:30 a.m., we meet to pray for our missionaries. If you have an intrest in different cultures and the mission work of Christ this is the right group for you. Come enjoy a snack and a time of prayer. This group finds many practical projects that serve the needs of people and the missionaries. At FBC there are several opportunities to pray for one another. We have several prayer groups that meet regularly to pray for the needs of individuals and the churchIn addition to this the church’s prayer network utilizes e-mails, phone calls and texting to pray for requests. 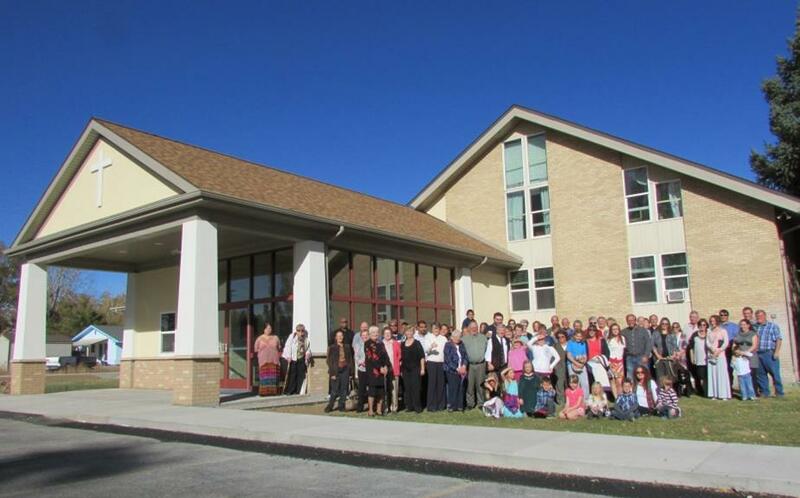 First Baptist church offers plenty of Sunday School classes for all ages and interests. In these classes you will discover warm and friendly people growing in the lord and interacting in a variety of settings. We meet Sunday morning at 9:00 am. If variety really is “the spice of life” then you will enjoy the worship music we offer at FBC. Our styles vary from Sunday to Sunday and may include traditional hymns, contemporary Christian, a little country, and maybe even some gospel music. So come on a Sunday and check out the flavor of the day. If you haven’t guessed, we like to eat together, and every month we gather for a special dinner following our worshipservices. It gives us a chance to just get to know each other better and love each other more deeply. Family, individual and premarital COUNSELING is available with Pastor Rex. We now offer the ability to watch our worship services Live. Of course, we hope to see you in Church, but we understand that it is sometimes just not possible to be with the church family on any given Sunday morning. You can view the live-steam by clicking here. Additionally, you may watch or listen to any previous worship service by going to the archived videos page.